The Middle Atlantic 27" C5 Series Adjustable Rail Bracket allows you to reinforce equipment mounted in the C5 series frames. 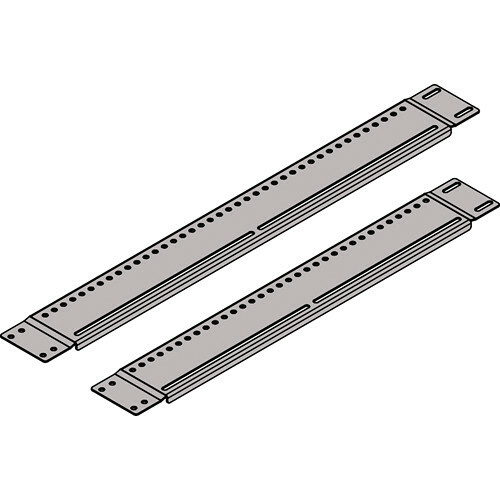 The rail brackets feature 0.22" (6 mm) screw holes placed .5" (13 mm) apart on the bottom of the bracket. The top of the bracket has two 7.97" (202 mm) long 0.22" oblong screw tracks for precise mounting. The bracket mounts into the C5 chassis by way of 0.22" screw holes on the sides.